Dr. Lawrence B. Werlin: An Orange Coast Magazine "Top Medical Professional"
2012 brought many new babies for Coastal Fertility Medical Center (CFMC) along with a brand new state of the art facility built from the ground up in Irvine. The fertility center is founded largely on the reputation and expertise of its physician, Dr. Lawrence B. Werlin, one of the nation's most noted Reproductive Endocrinology & Infertility (REI) specialists. CFMC has been Orange County's leading provider of reproductive care to infertility patients since 1982, and for good reason. CFMC and its dedicated staff are widely recognized for their compassion, as well as their special attention to the individual needs of their patients. My focus is on Reproductive Endocrinology and Infertility. My expertise lies in all aspects of Infertility treatment from diagnostic procedures to the Advanced Reproductive Technologies, including: IVF, ICSI, Blastocyst Transfer, Donor Eggs and Preimplantation Genetic Diagnosis (PGD). 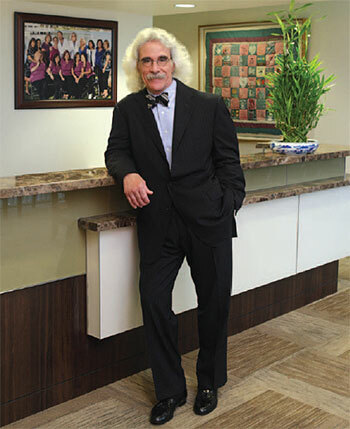 I practice at the Coastal Fertility Medical Center in Irvine, Calif., of which I am the founder and Medical Director. My soundtrack for life...anything by the "Greatest Rock and Roll Band in the World"...the Rolling Stones.